I still have more sessions to read about and I'm on the fence on what to do during a couple of time slots, but here are some thoughts on Sunday-Monday. 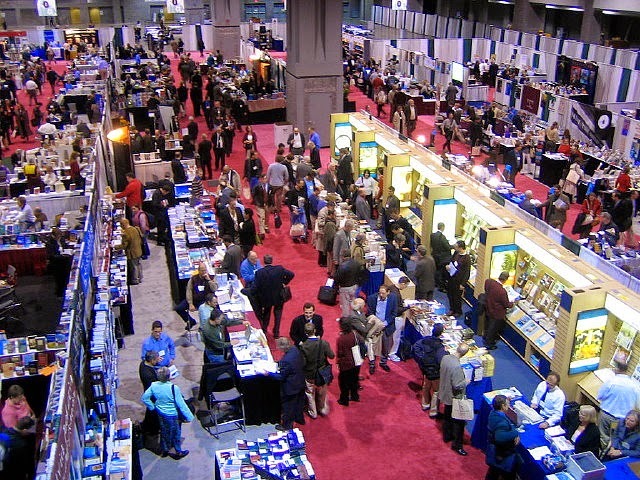 Of course, somewhere in all of this I have to set aside time for the most important part of SBL: the glorious exhibit hall where all the major publishers will be selling their wares (at discounted prices!). Nonetheless, here are my thoughts on the sessions so far. If you are going to SBL, I'd love to get your feedback. What are you planning on doing? Once again, another painful decision. On one hand, there is a session on Pauline soteriology on "righteousness/justice" in Paul involving Gorman, Gaventa, and de Boer, with Eubank responding. On the other, there's a section on the Fourth Gospel and liturgical issues, with Keener responding. They both look too good to pass up. Obviously, there's no question about what the most important session is in this time slot. The first paper is going to be dynamite. The paper by David Burnett, like the first paper, was presented earlier this year at the Paul and Judaism Conference at Houston Baptist University. It was fantastic. I'm looking forward to hearing that one again. Anyone know who this N.T. Wright guy is who is responding to it? There are a number of sessions that interest me. I'm very interested in the section on Mark. It's hard to turn down an opportunity to go and hear Joel Watts. The paper on intertextuality in Mark 11-12 sounds interesting too. Yet Goodacre interacting with Kloppenborg on Q? How do I pass that one up! Finally, there's a paper that seems to suggest animal sacrifices were in fact offered at Qumran. If true--and that seems to be a big if--that's huge. I'm interested to see what evidence can be cited--and equally keen on seeing what kind of reaction the paper gets. Finally, Stuckenbruck's paper looks intriguing. Theme: Q’s Difference: Contents, Silences, and PerspectivesThis session, sponsored jointly by the Extent of Theological Diversity in Earliest Christianity Section and the Q Section, revisits the question of how “different” Q seems to be given its contents, silences, and perspectives, especially where issues evidently crucial to other groups (such as the death and resurrection of Jesus) are concerned. Does Q make a difference to constructions of Christian origins? The joint session between the "Meals in the Greco-Roman World" section and "Meals in the HB/OT and Its World" will focus on meals and justice, discussing how individual and divine justice are brought into connection with the table. The session will seek to bring together perspectives from the Hebrew Bible, the New Testament, and rabbinical texts, seeking the commonalities and divergences present between the various bodies of texts. I have a number of commitments on Monday morning and so I can't make it to anything at that time. In the early afternoon there are a number of sessions that look fascinating. I'm going to have to make some hard decisions here. First, there's a review of N.T. Wright's new book on Paul that features, among others, Douglas Campbell. After watching the recent dialogue with Wright at Duke, taking a pass on this one is going to be difficult. In addition, in the Papyrology and Early Christian Backgrounds section there are two papers that have caught my attention. First, there is one on wine consumption in antiquity and the story of the wedding feast in John 2. Second, one on Mark 10:1-12. There is also a section on Social History of Formative Christianity and Judaism which focuses on priesthood and sacrifice. The papers here look very appealing. Not sure what I'm going to do about these yet. In the late afternoon, I am planning on attending the Blogger section. However, there is a section that is going to be hard to miss--and it features a prominent blogger, Mark Goodacre. Room: Room 1 B (Upper level) - San Diego Convention Center (CC)The session will conclude with a panel of scholars who blog (including Chris Keith and Anthony Le Donne, among others), talking about key moments in the intersection of academic blogging and Biblical studies from recent months. 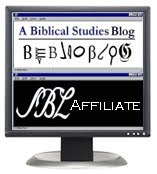 One of the great things about blogging is that it allows discussion of Biblical studies and other academic news over the course of the year. This panel thus makes room for discussion of topics that could not be foreseen when the program was finalized in April. Expect mention of specific topics and panelists on the scholarly blogs prior to November! Theme: Does Which Mary Matter?The papers in this session investigate the multifaceted early Christian traditions of the Marys—Mary of Nazareth, Mary Magdalene, Mary of Bethany—in biblical and post-biblical contexts.